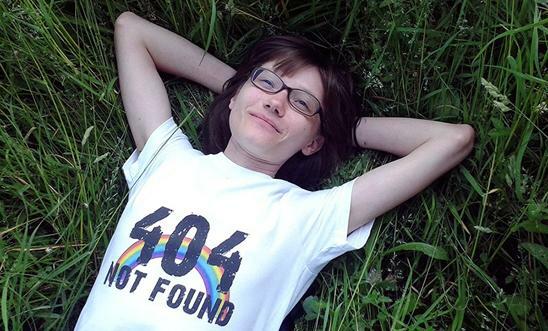 Elena Klimova, the founder of LGBT charity Children 404, has been charged with breaking the “gay propaganda” law by Russia's media watchdog Roskomnadzor. On its Facebook page, Roskomnadzor said that it received over 150 applications from “citizens and organisations to verify the legality of the internet project Children 404”. Children 404, established by Klimova in March 2013, offers LGBT teenagers information and advice, as well as a closed forum for teenagers to connect with one another and share their experiences. “After analysing the content of the project on the social networking site VK and on other internet platforms, experts…from Roskomandzor… have come to the conclusion that the information disseminated contains evidence of an offence under Part 2, Article 6.21 of the Code of Administrative Offences of the Russian Federation (“Promotion of non-traditional sexual relations among minors”)”, reads Roskomnadzor's Facebook post. “Any further words can be said in the magistrates' court,” remarked the report. “We think that it is a lack of knowledge that prevents Elena Klimova from implementing a public project within the parameters of the law. But ignorance is no excuse,” Roskomnadzor's statement reads. In February this year, Klimova was acquitted of charges brought against her by the Russian government for promoting gay propaganda. Nevertheless, the notorious anti-gay St Petersburg lawmaker Vitaly Milonov, architect of the anti-gay propaganda law implemented in Russia in 2013, said that he would appeal the court's decision.